Plot: A French washerwoman becomes a duchess and a friend of Napoleon. In late 1923, Swanson, like every other Hollywood actress, was dying to play Peter Pan in the soon-to-be film version. She figured that the best way to get the part was to go to Europe and convince the writer J.M. Barrie that she was right for the role. Her friend Forrest Halsey (who wrote many of her screenplays during this time) suggested that while she was there, she might try to obtain the film rights to Madame Sans Gene (Madame Doesn't Care) by the playwright Victorine Sardou. Gloria loved the play and both she and Halsey felt that it could only be made in France but they were doubtful if permission could be obtained from the French government. As soon as Gloria arrived in London, she learned that an actress named Betty Bronson had been chosen for Peter Pan. She was bitterly disappointed but reasoned that while she was there she could at least inquire about Madame Sans Gene. She headed for France and first pitched the idea to the French film critic Andre Daven who thought that it was a wonderful idea and that the French people would not be against her doing it. He proceeded to write an article which brought a good deal of attention and it was all positive. In no time, Gloria had not only won the right to film the play but she also received permission to use three of Napoleon's residences. 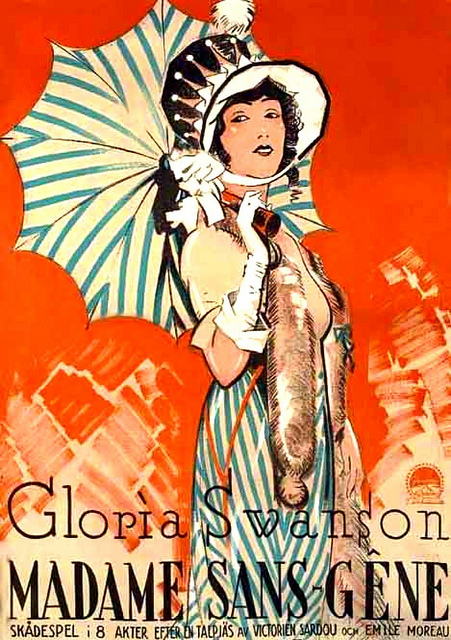 Gloria would be the only American actor in the film and there would be two versions filmed, one for the American market and the other for France. The filming was an enjoyable experience for everyone involved. 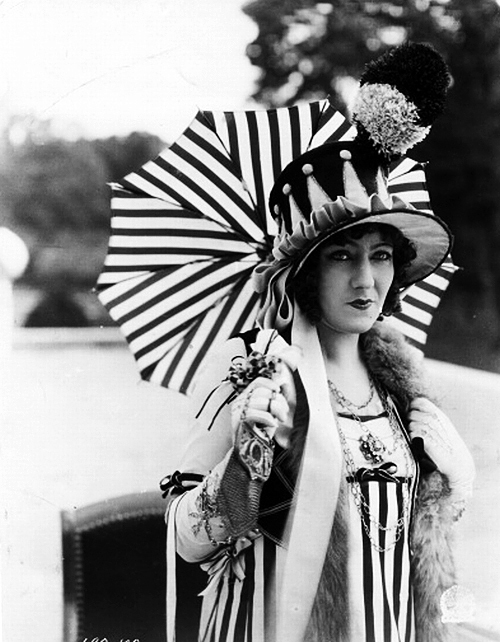 Madame Sans Gene was eventually cut in Hollywood but its full length remained intact for the French audience. The film turned out to be a great success, especially in the foreign market. Paramount staged a momentous premiere just as Gloria returned from France with her newly acquired husband, the Marquis de la Falaise de la Coudraye, who was employed as her translator while in France.